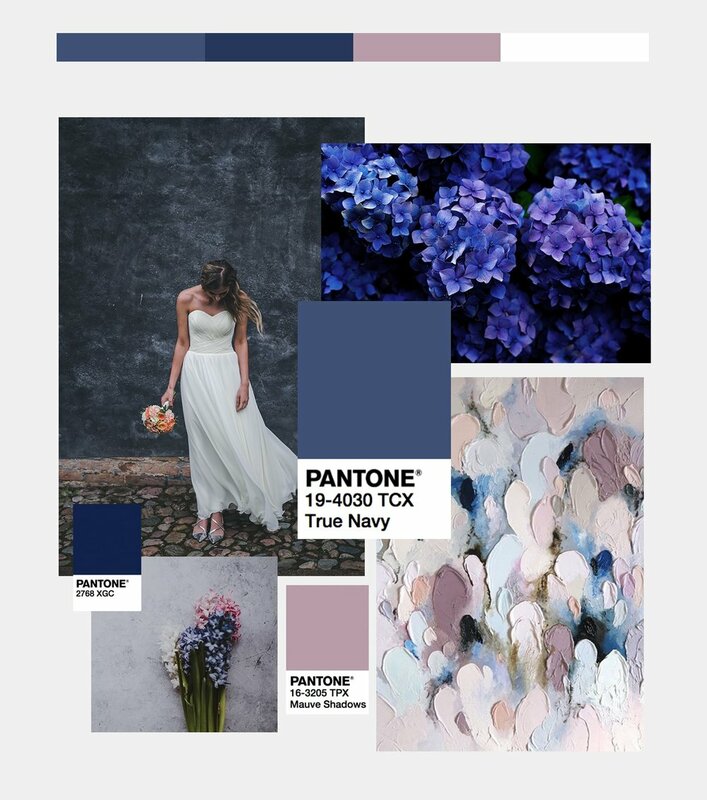 As the world of weddings continue to evolve, Nat taps into this year’s design predictions and gives you some inspiration for styling your big day. As some of you may have noticed I recently dived head first into the wedding industry from two perspectives, as a 2018 bride-to-be and also as a wedding stationery designer with my latest business Nat’s Paper Studio (I don’t know where I find the time either… I basically don’t sleep). So given my new found knowledge I thought I would share some insight into this year’s top trends. 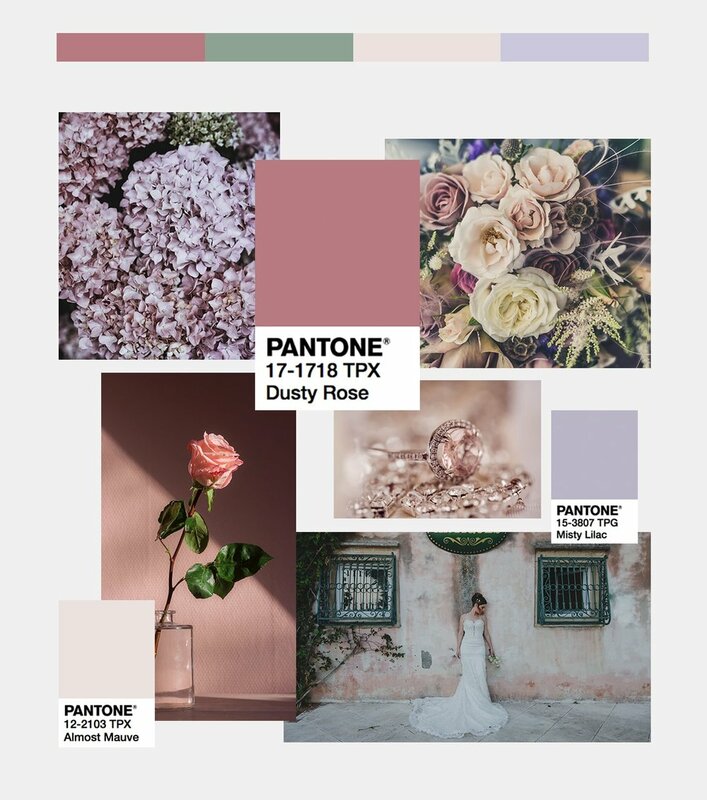 Trends in colour are constantly evolving so it’s hard to pin down one palette for 2018, but one thing we can look towards as a guide in setting the years colour trend is the Pantone color of the year. Previous years have proved this is a good early indicator of what’s to come in wedding trends and I always use this as a steering point. Last year’s colour was Greenery and throughout the year we saw a flurry of foliage, green tablescapes and leafy installations. With 2018’s colour being Ultra Violet expect to see some beautiful purple flowers, brighter invite suites and more colourful table settings. FFollowing the Pantone colour of the year, purple will heavily feature in this years colour schemes, which is handy as it’s my favourite colour! Black and white mixed with a hint of gold or copper forms a very contemporary palette and is bang on trend for 2018 weddings. It’s quite obvious from my range that I am a big fan of Monochrome styling – I hope this trend is here to stay. Softer tones and pastels colours form a very romantic palette. A simplistic and modern trend that’s here for the long run… hurrah! A beautiful colour combination, this trend mixes romance with classic in a very elegant way. Although calligraphy is always going to be present in wedding design, 2018 is predicted to see a shift with bolder styles rising to the forefront of creative wedding stationery – concentrating on modern typefaces with beautiful card stocks. I personally love this design direction and have adapted my house range accordingly by creating a few collections that focus on simple styles with that can be customised through colour, foil and texture. As a fan of minimalism and typography, this creative direction really does play on the styles I have loved for years. Speaking of textures… I believe this will be a big game changer this year. The current trend seems to see designs stepping away from flat colour and leaning towards textured card, vellum, cotton rag and material, which I welcome with open arms! 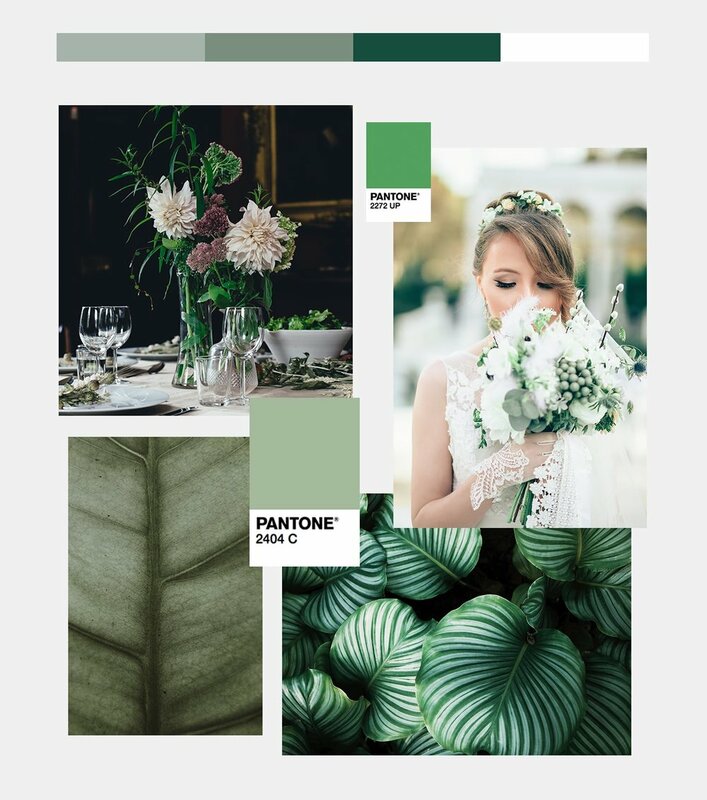 As a 2018 bride-to-be myself, I will most certainly be playing on textures to create an interesting stationery suite that’s stylish and modern. I’m also a huge fan of vellum, and have used this across certain collections in my range – have a little browse here. As we edge towards a more modern style this year, asymmetric and geometric creative designs are moving into the spotlight. Expect to see unusual invite shapes, cut off corners and foiled lines. A mix of calligraphy with geometrics gives a good balance of romance, while providing an edgier feel while a good bold serif font used with this style perfectly encapsulates a contemporary, yet beautiful look. As a big fan of yet another of 2018’s hot trends, keep an eye out for this style in our wedding stationery and as a feature on my big day in the summer this year.